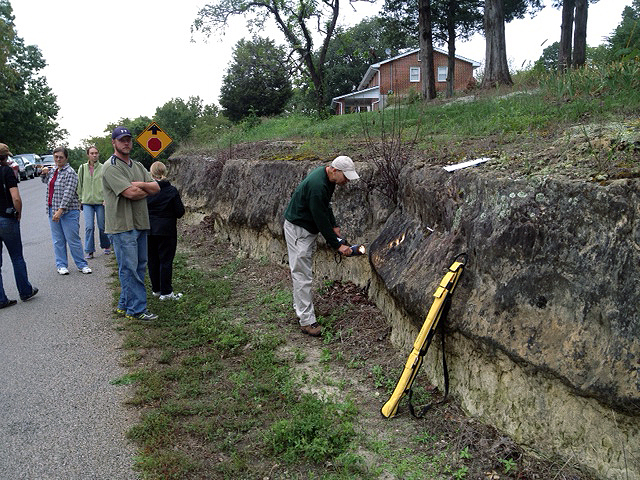 A petroglyph site in Jefferson County was visited by members of the Missouri Archaeological Society during a symposium on Rock Art. This site was known to Frank Magre and other individuals in the community. 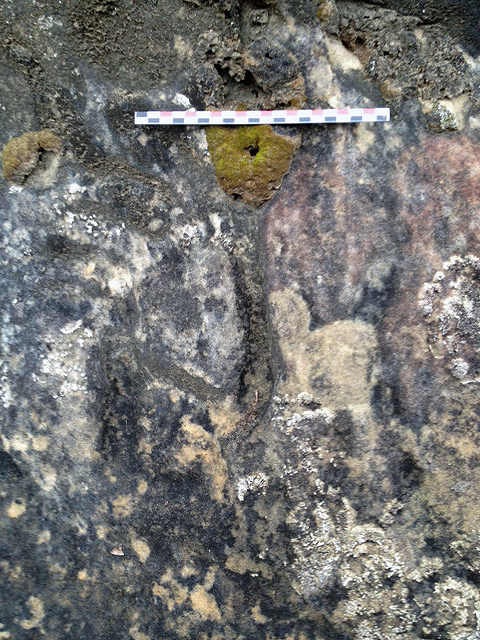 Recent road construction along the site resulted in the lost of several petroglyphs on the horizontal surface. Doug Porter shines a light on a surviving petroglyph on a vertical surface. 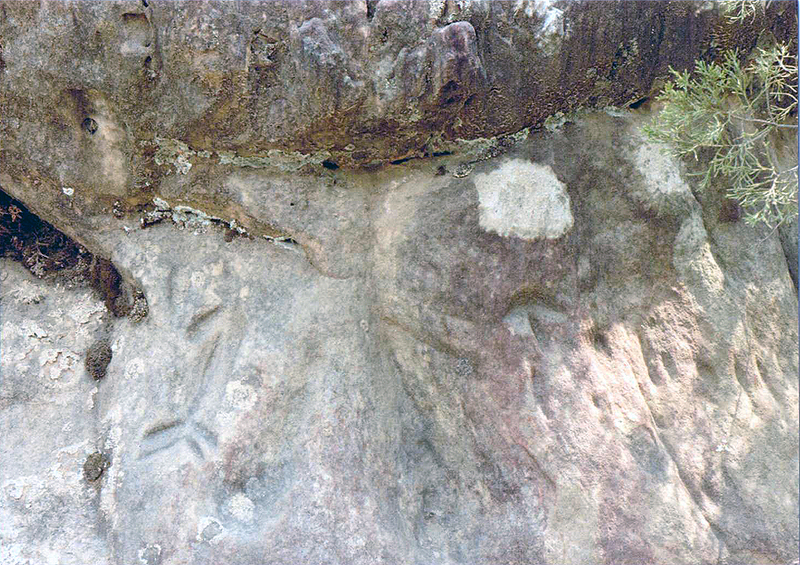 Photograph of the petroglyphs taken in the 1987 and provided by Sarah Breece. 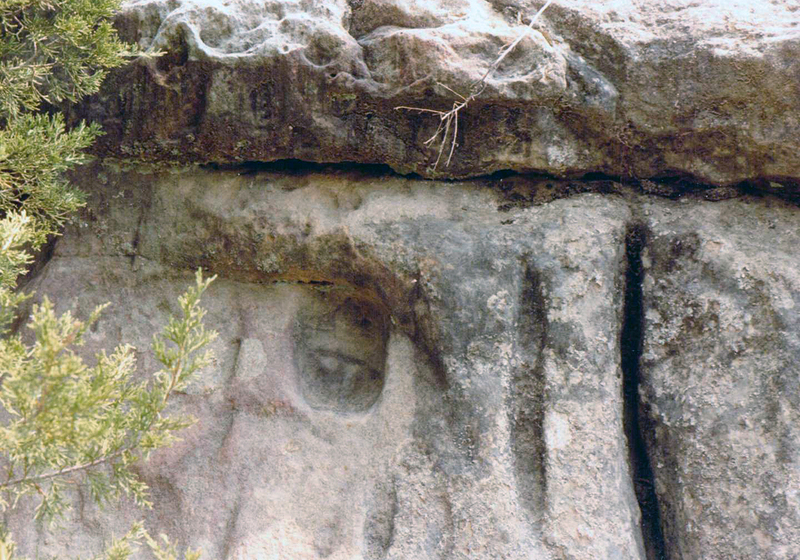 The same petroglyph as it appears in 2012 on the vertical rock surface. 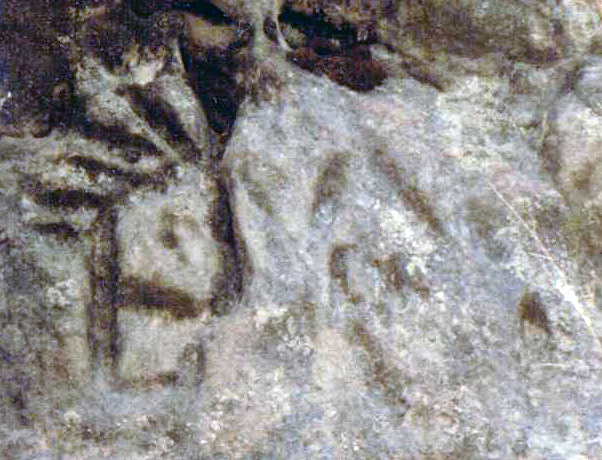 The petroglyph appear to be a human head with a series of feathers attached to his hair. Scale is 20 cm. 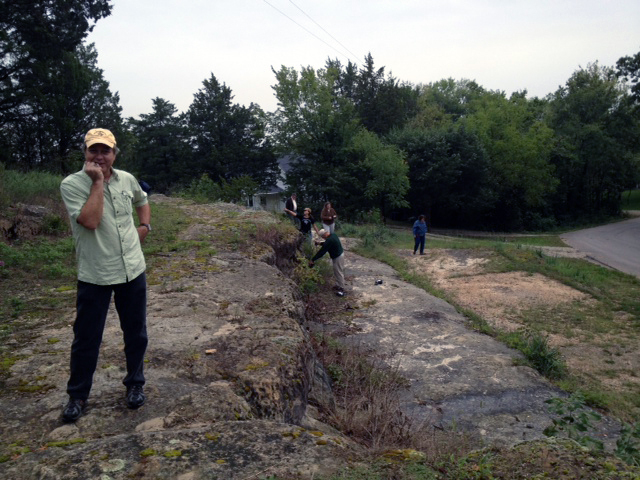 Dr. Neal Lopinot (director of Center for Archaeological Research at Missouri State University) watches as professional and amateur archaeologists search for more petroglyphs at the site. The Mount Zion site is discussed by Carol Diaz-Granados (1993:488) and Diaz-Granados and Duncan (2000). 1993 The Petroglyphs and Pictographs of Missouri: A Distributional, Stylistic, Contextual, Functional and Temporal Analysis of the State's Rock Graphics. Ph.D. Dissertation, Department of Anthropology, Washington University , St. Louis, Missouri. 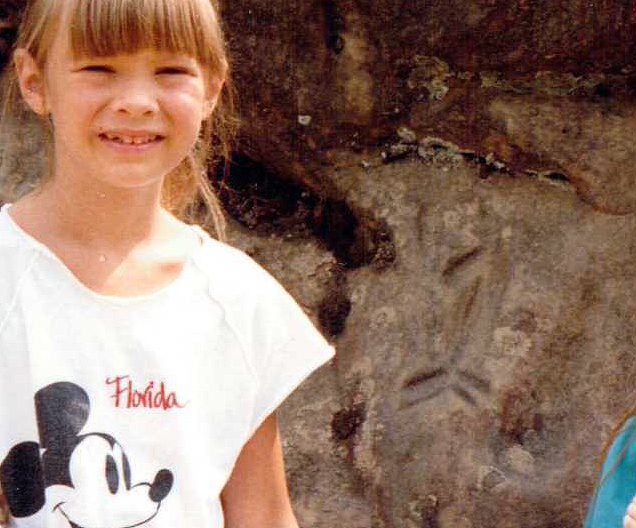 2000 The Petroglyphs and Pictographs of Missouri. University of Alabama Press, Tuscaloosa. Many thanks to Sarah Breece for providing digital scans of photographs taken in 1987 of the site!